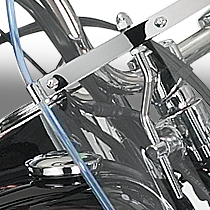 Our Classic Beaded Windshield for the Harley-Davidson® FXSTS and FXSTSB is optically superior and trimmed with a mechanically-applied traditional beaded edge. 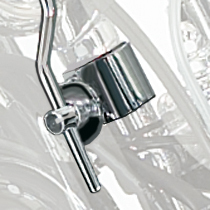 The highly polished chrome mounts attach to the OEM handlebar risers to provide a significant range of individual adjustment for height and rake. Complete Mount Kit is included. There is nothing else to buy, except a full tank of gas! No yellowing or cracking of the beaded edge is possible with our no-glue process. The Classic Beaded Windshield is DOT and ABE Approved. Hardware is chromed steel and polished stainless steel hardware. All necessary mounting hardware is included. 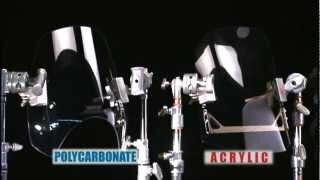 Windshield is Lexan® Polycarbonate with FMR hardcoating for superior impact strength and crack resistance. It is virtually indestructible. DOT/ABE Approved. Covered by National Cycle's 3-Year Unbreakable Warranty!